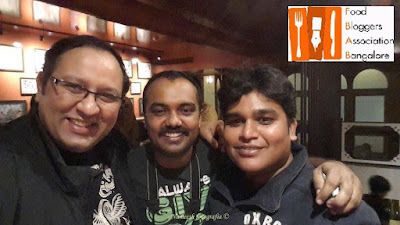 Its been a long time I have joined one of the popular foodie groups in Bangalore and I always wanted to share my thoughts on the same. It’s about Food Blogger’s Association Bangalore (FBAB); a great platform for food bloggers in Bangalore. Within a short span of time, FBAB became a popular name among bloggers and restaurants. My journey with FBAB started in last October and ever since I became an active member of it. 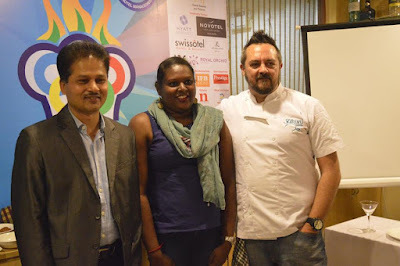 We have heard about ‘chai pe charcha’, it was one such moment when Chef BB, Naveen Suresh and Nameesh Rajamane came up with a wonderful idea and decided to start a platform where bloggers, especially food bloggers get recognized. 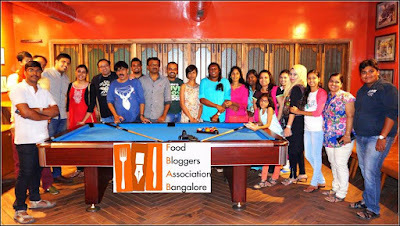 First meetup of FBAB was in Rasta Café in Dec 2014 and now day-by-day new bloggers and restaurant reviewers are joining in this group. Now they have 4.6k+ members in Facebook group with almost 200 registered members. As a Food blogger and restaurant reviewer, FBAB has always given me freedom to express myself through my reviews and also the members are now like in a big joint family. I have made so many friends through FBAB, we support each other for everything and share our knowledge when it comes to food. Kudos to the founding members, as all three of the admins is working professionals and they put so much of their time and effort to organize a meetup. Meetups are organized in a professional way and this weekend they will be having the 27th FBAB meetup. Way to go FBAB team! I am proud to be part of an amazing association like FBAB. Thank to all the members who supports me.